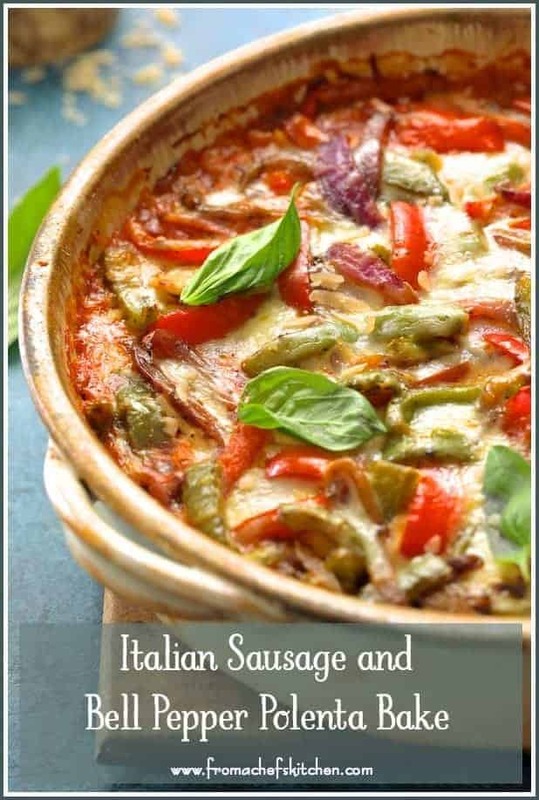 Italian Sausage and Bell Pepper Polenta Bake is a heartier, make-ahead gluten-free twist on pizza with the classic combination of Italian sausage and peppers. It’s perfect cool-weather comfort food! I’m back! I know I probably have some splainin’ to do about why the long gap in posting something new. It’s all good! It’s all very good! 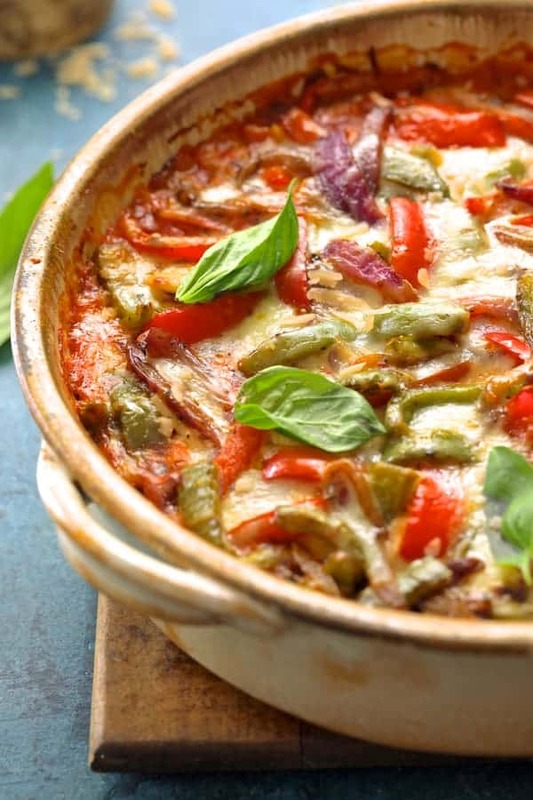 This Italian Sausage and Bell Pepper Polenta Bake will be worth the wait! My husband and I just got back from a three-week, six-country tour of Europe! The Netherlands, Germany, Austria, Italy, Switzerland and France! In addition to the time away, there’s way too much to do before you even head to the airport. We didn’t have any plans to do a major vacation this year. However, when a Rick Steves tour catalog arrived in the mail, it was just too tempting because I’m a huge Rick Steves fan! Rick Steves’ Saturday morning show on PBS back in the 1990’s, Rick Steves’ Europe, was a lifeline for me at a time when my world was pretty small. I lived in a small Milwaukee apartment with a good little clerical job. With hardly any money, I could only dream and live vicariously through his show about traveling to Europe someday. Thankfully, my world has opened up and I’ve been able to travel to the places I saw on television! We chose The Best of Europe in 21 Days. Three weeks away is a very long time to be away and a little crazy but I’m glad we did it. There are no guarantees in life and we feel it’s important to grab it while you can. We certainly did that and had a great time with great people! Speaking of crazy, here’s a crazy-good heartier gluten-free twist on a pizza you’re going to love! Italian Sausage and Bell Pepper Polenta Bake. Why am I calling this Italian Sausage and Bell Pepper Polenta Bake a “bake” instead of a casserole? To me, a casserole is something mixed together and then baked. This Italian Sausage and Bell Pepper Polenta Bake has more of a layering thing going on. The polenta base comes together quickly using instant polenta! Prepare the polenta base by whisking instant polenta into chicken broth according to the package directions along with garlic and Parmesan cheese. Remove from the heat and stir in an egg. Immediately pour into a prepared baking dish. While the polenta base is baking, cook the Italian sausage and drain it well. Here’s delicious, hearty comfort food perfect for a chilly fall evening your family or guests will love! 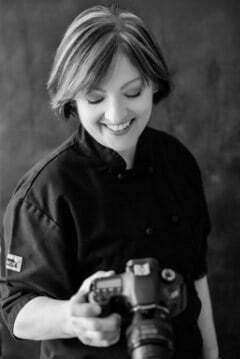 Vary the veggies by using zucchini, yellow squash or eggplant! 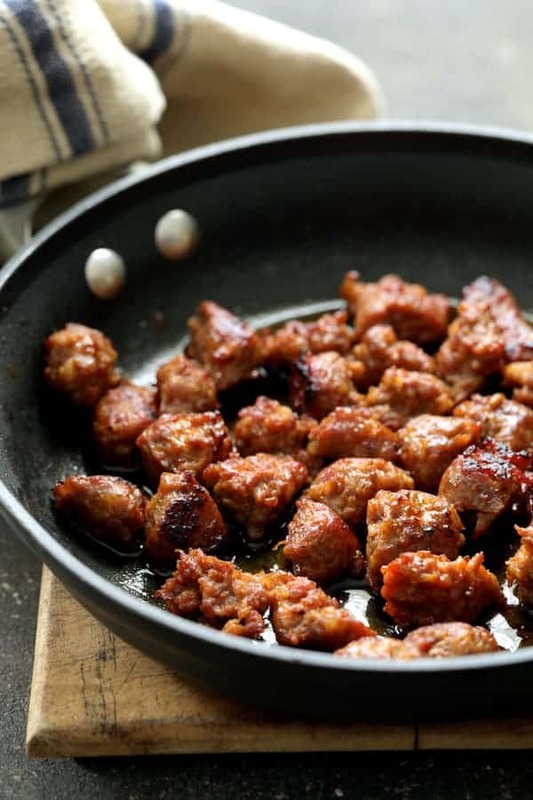 If you’re not into Italian sausage made with pork, try chicken or turkey sausage. 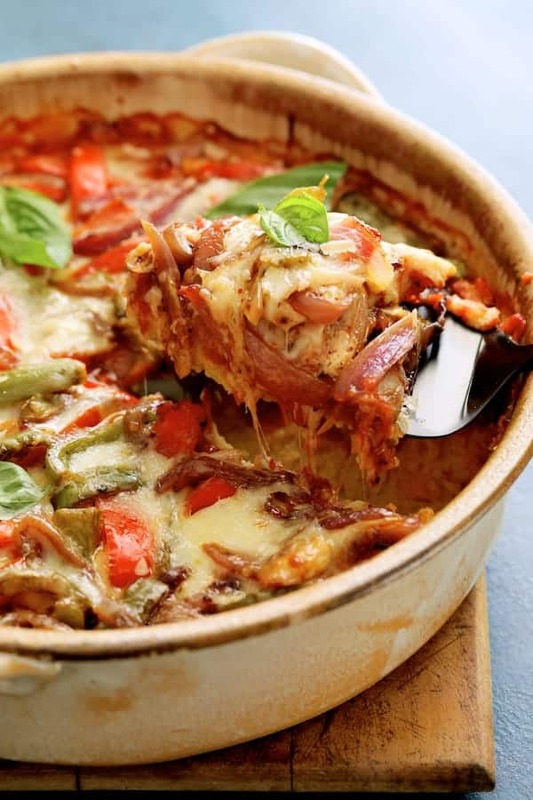 Be sure to try these other Italian-inspired baked dishes! 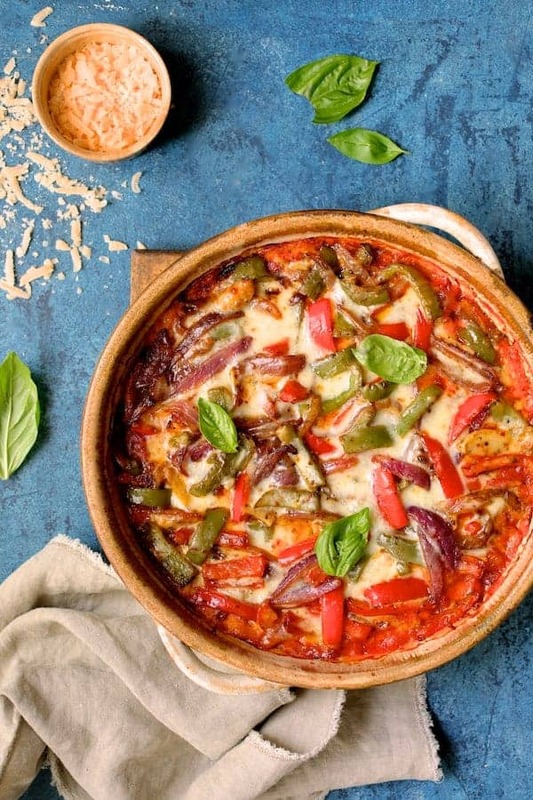 Italian Sausage and Bell Pepper Polenta Bake is a heartier, make-ahead gluten-free twist on pizza with the classic combination of sausage and peppers. It's perfect cool-weather comfort food! Preheat oven to 350 degrees. Spray a 2-quart round baking dish with cooking spray. 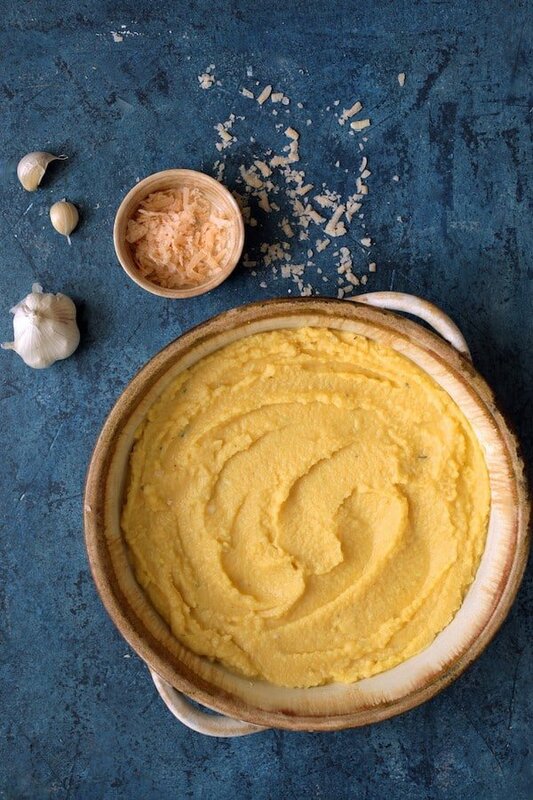 MAKE THE POLENTA: Bring chicken broth or water, salt, butter and garlic to a boil in a medium saucepan. Slowly stir in the polenta and cook until thickened, approximately 3-5 minutes. Remove from heat then stir in Parmesan cheese and egg. Immediately transfer to the prepared baking dish. Bake for 20 minutes. SAUSAGE AND PEPPERS: While polenta base is baking, heat olive oil in a large skillet or saute pan over medium-high heat. Add the sausage and cook, breaking up and crumbling the meat as it cooks until it's cooked through and no longer pink, approximately 7-8 minutes. Drain on paper towels. Reduce heat to medium. 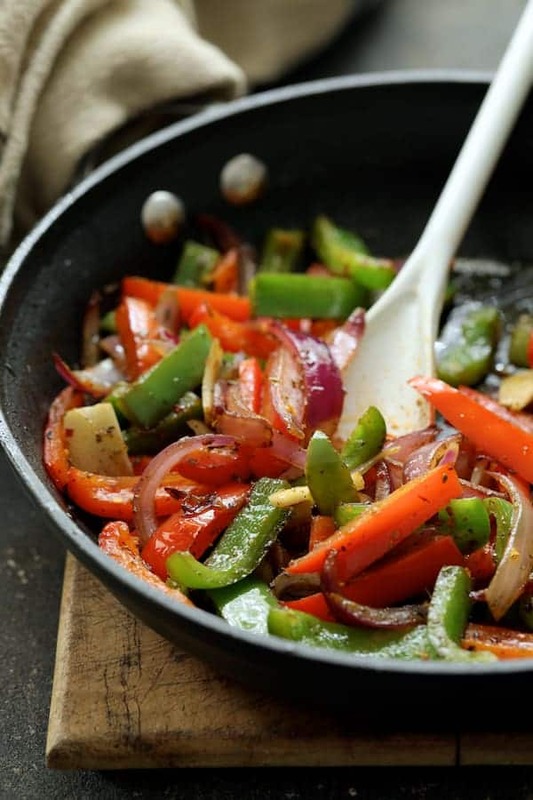 Add onion and bell pepper to drippings remaining in the pan. Cook 4-5 minutes or until softened but still have some "bite." Stir in garlic and cook briefly, 30 seconds. Combine crushed tomatoes, Italian seasoning and crushed red pepper flakes. (This can be done right in the can using a small spoon to stir.) If using prepared marinara sauce, omit the Italian seasoning. Spread seasoned crushed tomatoes or marinara sauce over the polenta. Evenly distribute the sausage and peppers over the tomatoes/sauce. Bake 20-25 minutes or until hot, bubbling and cheese is nicely melted. Let stand 5 minutes before serving. Garnish with fresh basil leaves if desired. Can be assembled 1-2 days in advance. Add 15-20 minutes to baking time.